The original Santa Rita jail opened in January 1947 and served as a replacement for the original County Prison Farm that operated next to the Fairmont Hospital in San Leandro. The original site included a Navy brig that was converted into a maximum-security facility known as Greystone. Eventually, the Santa Rita Jail became overcrowded and the changing demographics made it difficult and costly to operate the old facility. In 1983 development of the “new” Santa Rita began. On September 1, 1989 the facility was opened and inmates were transferred from the old jail to the new jail. The new facility holds about 4000 inmates housed in one of eighteen modern housing units. It is considered a “mega-jail” and ranks as the third largest facility in California and the fifth largest jail in the nation. 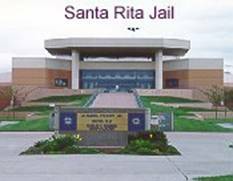 I want to help someone who is in the Santa Rita jail, what should I do? When a person is arrested by the police and taken into custody, they will be processed and taken to a detention facility such as the Santa Rita jail. It is traditional for the individual to be kept in jail until their release has been arranged, which in most cases is the result of the individual posting bail. If the accused is unable to post bail for themselves, a friend or relative or even an attorney may post a bail bond on their behalf in order to obtain their release. 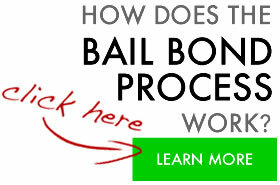 In most cases, except for the most serious offenses, bail is a means for the individual to remain out of the jail system until the court date which the judge has set.